Friends, summer can be absolutely crazy on a normal basis, but with adding a move to the mix, it’s been even crazier than usual around here! 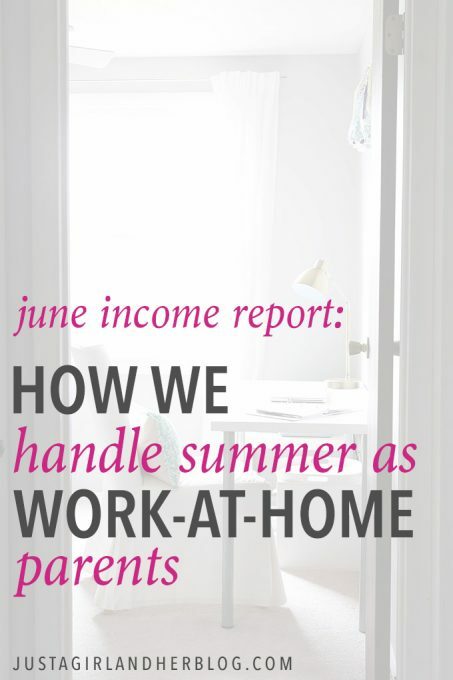 In this month’s income report we wanted to focus on balancing work and kids and life in the summer, and how we’re attempting to stay sane in the midst of it all! Our biggest takeaway from June: Work goals and expectations must be adjusted in the summer. 1. Adjust your mindset; expect a different level of productivity in the summer. Our kids are the reason that we wanted to be our own bosses and have a flexible schedule in the first place, so if we do less projects and make less money in the summer because we are spending more time with them, we are fine with that! 2. Get help if possible. Our kids go to camp for 1/2 day each week, and we have a babysitter that comes one day per week. We split the rest of the work time: Abby watches the kids while I work, I spend time with the kids while she works. This allows us to focus on our kids when we are with them instead of being only sort of present and being on our phone when we are supposed to be spending time with them! 3. Consider hosting a guest post series. This is the third summer in a row that Abby has hosted a guest post series, and it really is a win-win. 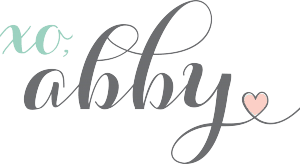 It’s beneficial to Abby because she has to create less content herself, and it’s beneficial for the guest bloggers because they can get their name and their blog in front of a new audience. 4. Think about changes you can make to systems you have in place. We have a Facebook group for our Building a Framework students that we manage and comment in regularly. Because Abby knew she was going to be around less than usual to comment and answer questions this summer, she decided that she would do periodic FB lives for the group to answer all of their questions at once so she could still support them. Consider hiring someone to help with email, social media, graphic design, etc. Our first “hires” were an assistant that helps with email and social media scheduling and a graphic designer that helps with images. 6. Take time to refocus your business. The summer is a great time to take a step back, evaluate your systems, determine what’s working and what’s not, and make some changes for the future. We’ve been publishing monthly income reports since February of 2014. You can click here to see a running tally of past income reports. As you read this report, it’s important to remember that this income didn’t happen overnight. It’s been a long process and a lot of work! 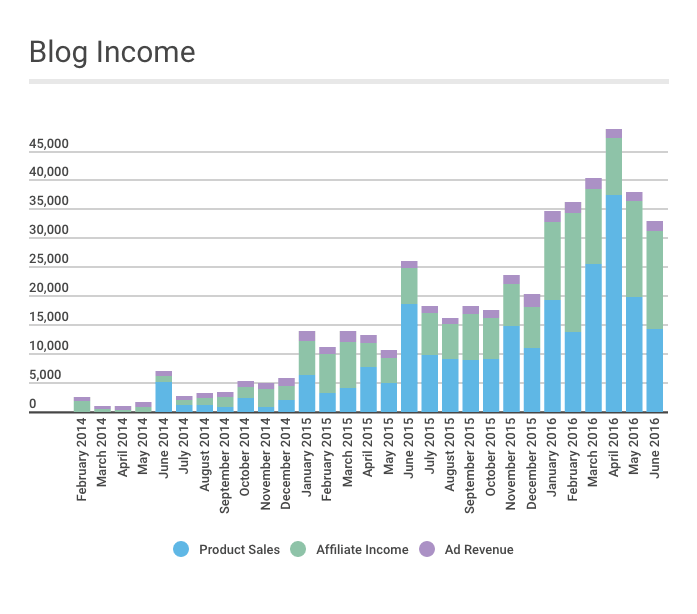 Our blog income our first year was very minimal, and we didn’t publish the first income report until we had been blogging for a little over a year. We strive to make these reports as accurate as possible, but our business accounting typically does not match these numbers exactly. These reports count income which was earned during the month, but not necessarily paid out to us within that month. With many affiliate programs there is sometimes a significant delay between earning a commission and actual payment to us. We hope you find the reports helpful! What Are the Best Landing Page Builders? Evaluate your to-do list and get realistic about what you can accomplish this summer. It’s better to commit to less and actually accomplish something than committing to many things getting down when you don’t get everything done. The summer is the perfect time to do a little mid-year goal setting and planning while reflecting back on what you were able to accomplish in the first half of the year. Most importantly, enjoy some downtime. Relax with your spouse and plan adventures and quality time with your kids. So that was our June! I hope you are enjoying your summer and soaking in every spare moment with the kiddos! Growing our business and our income is nice, but they are the real reason that we do this, and we are so grateful to have the flexibility to spend their summer break with them. Have a wonderful week! Donnie, this is great! Thank you for sharing. And I love all the productivity tips. Having dedicated times to spend with the kids really makes a difference. They notice when you’re only half there and constantly checking your phone. I love these reports, so thank you for publishing. 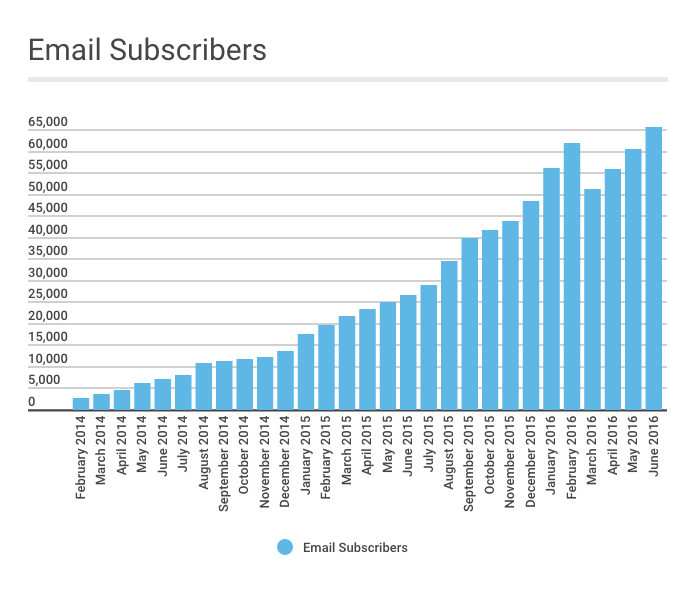 I am currently setting up my drip email campaign after a customer purchases my ebook, do you have a post on this process or any tips? It’s so important to keep our priorities as parents straight. Working from home, it can be tempting to get sucked into your work (most of it is fun after all). With kids around, you just have to learn to pace your work and focus on what’s really important. Thanks for sharing the report. The graphs are very helpful too! I’m a visual learner, so I love all the graphs. Thank you for sharing guys. I’ve been losing motivation, and this is a reminder of why I can’t give up. You have come such a long way. Your progress is amazing! Thank you so much for sharing this side of the business as well! It is super encouraging to see how you handle the summer time and what comes with it! I can’t wait to sit down, continue with my mid-year review and write out the goals for the next couple of months while keeping in mind that I have less time than usual. Also, I love that you now set actions steps in your income reports for us. I already loved the bonus content at the top, but this makes it even more valuable. Thank you so much! Aw, thank you, Sandra! So glad they are helpful for you! LOVE to hear that! Hi Abby! Pray please do tell, Is there any reason why you do not run PPC advertising, Adsense? Your response would be very appreciated. thanks for the Post! I have to say…I am SO addicted to income reports! Thank you very much for sharing these eery month because we really do find a lot of motivation that we, too, can blog for a living. Thank you for sharing so much value each month! So glad it was helpful for you, Christi! Have a great weekend! I always enjoy seeing your income reports. I have a question. Do you take a specific salary each month for each of you? My husband and I work together on the business as well, and trying to figure out a better plan with the money. Abby and I do each take a salary. We’re an LLC taxed as an S-Corp. We also take business distributions occasionally. Thanks Donnie! Do you take the same amount each month or does it depend on income? We pay ourselves a fixed salary that I set at the beginning of the year. It’s the same every week. How are you guys finding your switch to ConvertKit has impacted your business? It’s been great! 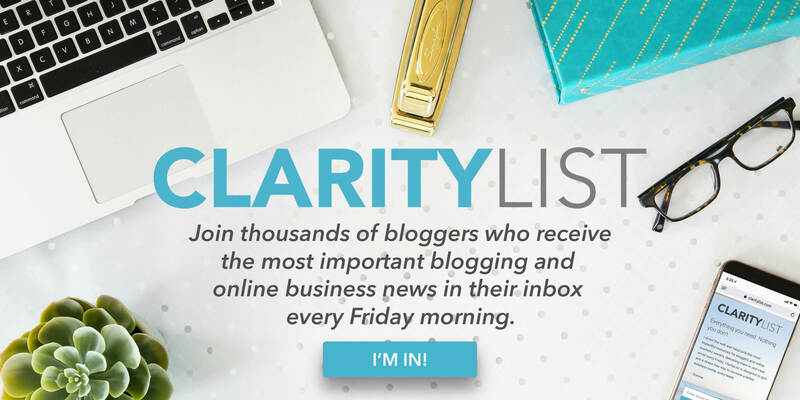 So much more flexibility with ConvertKit than we had with MailChimp. Thank you so much for posting your income reports! They’re so helpful and inspirational. I just started my blog three months ago and posted my first income report today. It’s nothing like yours, but I wouldn’t have started it without people like you being open about their income!! Yay! So glad they’re helpful for you, Amy! We love to hear that! Popped on over to check out your income report… Congrats on your progress in only 3 months. So great! Hope you’re having a fabulous week! I absolutely love how transparent you are! After reading, reading, and more reading, I used your Affiliate Links for Bluehost and will be purchasing a 316 theme through your affiliate link when I have the expenses. I feel okay about my early steps monetizing with Amazon, adsense, and ShareASale, but where I’m really lacking are the followers and traffic! 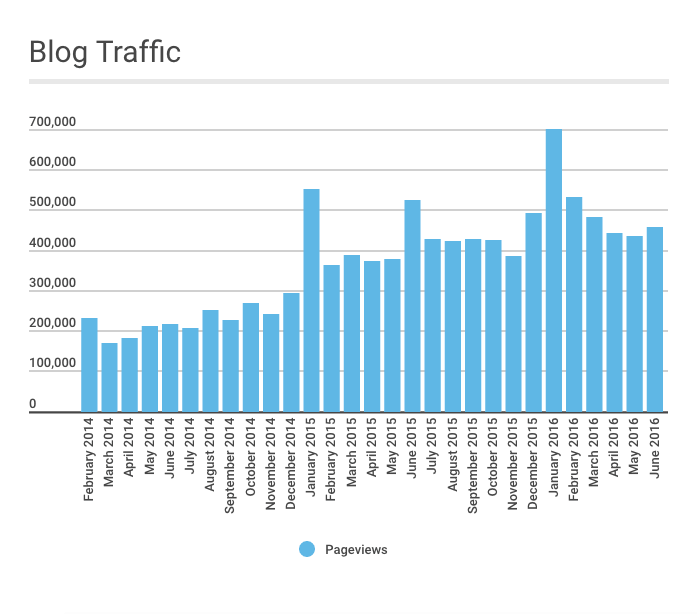 Your charts start at Feb 2014, but how long was the blog up and running before you had that ~2500 traffic in Feb? Hi, Victoria! Thanks so much! 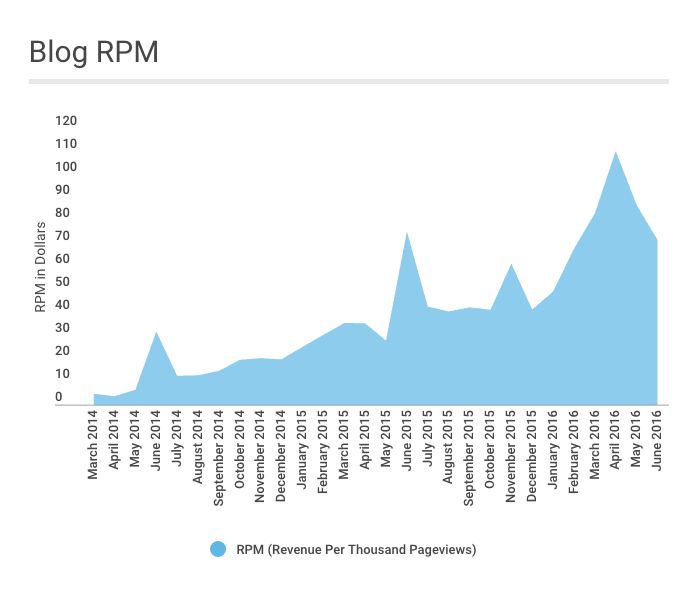 I actually started blogging in January 2013 so the charts start about a year in. Hope this helps. Have a great weekend! I always get motivated by your work and feel like asking your 10 minutes mentorship a month! In your expenses, you have both (1) Synthesis hosting and (2) Flywheel hosting. Does that mean you hosting this site by 2 different hosting companies? Hi, Fjiord! Great question. We host Just a Girl and Her Blog on Synthesis and our other site, BuildingAFramework.com on Flywheel, hence the two hosts. I hope this helps! 🙂 Have a great day! So glad they’re helpful for you, Carlin! Hi there, thanks for sharing your reports. I think it’s amazing how you jumped from $2000 earnings to almost 33k in just 2 years. It’s obvious that you have worked a lot on your project and that makes me happy. It really motivates me a lot to continue working on my site. Thanks again. So glad it was helpful for you, Federico! Thanks for sharing your stats and income so candidly! They are very inspirational. I’m about 9 months into blogging and just started sharing my first blog traffic/income reports. I’ve still got a long way to go and it helps to read about the process for others. So glad it was helpful for you, Graham!